Never assume you need to replace your hybrid battery without first having a qualified expert diagnose the performance of your vehicle and the condition of your hybrid battery. When a vehicle has a hybrid system malfunction the computer illuminates the check engine light, hybrid master warning light and in some cases additional lights. When a hybrid failure code is triggered by the vehicle's computer, the hybrid battery may not even be at fault. When it comes to diagnosing the hybrid battery itself, a hybrid warning light can mean many different things such as voltage drops in battery modules, corrosion in connectors, dirt and debris negatively affecting operation or any combination of these things. Proper diagnosis by a hybrid battery technician can save you heartache, time, and money. What does it mean to recondition a hybrid battery? Short Answer: Hybrid battery reconditioning simply means hybrid battery repair, or in some cases it means rebuilding the hybrid battery entirely. Long Answer: Hybrid battery reconditioning is the process of identifying faulty individual battery modules within a hybrid battery pack and selecting them for replacement. That is then followed by multiple deep discharge – charge cycles which brings all modules in parallel, restoring lost capacity and resetting each module to a common state of charge. Dave’s Performance Hybrids takes this process one step further, by pairing alike modules within 0.5 amp of each other effectively maximizing the available performance from a series of modules in a hybrid battery pack. Learn more about the technology behind our battery reconditioning services. What are the benefits of refurbishing a hybrid battery vs. replacement? Hybrid battery replacement is the common recommendation at most dealerships. Unfortunately, battery replacement can cost as much as the value of the hybrid vehicle itself, or sometimes more, while only providing a 1-year warranty. In cases where a hybrid battery failure is verified, and all other possibilities have been eliminated, even then only one or two modules in a hybrid battery pack may be at fault, however, the computer may go as far as disabling the vehicle when a single module drops below a voltage threshold held by the 28 to 40 modules within a battery pack depending on the design of the hybrid battery. At Dave’s Performance Hybrids our proprietary hybrid battery technology gives us the ability to evaluate battery modules individually, based on their voltage, resistance, amp hours and approximate energy, in real time. Upon diagnosis and/or refurbishment of a hybrid battery, we provide printed certification of the quality of the hybrid battery. In the event your battery cannot be repaired, we have refurbished hybrid batteries in stock, providing a more affordable solution to battery replacement. We seek out hybrid battery modules, grade them by quality, and build battery packs ready for install straight off the shelf. If you prefer to have a brand new battery installed, instead of a quality re-manufactured unit, we have those too. At Dave’s Performance Hybrids, we encourage refurbishing a hybrid battery over replacement, not only as a money saving objective, but also to promote the long range environmental benefits of green energy. Time has now shown that hybrid battery technology is more robust and long lasting than initially anticipated. Our mission is to support the environmentally conscientious practice of reduce, reuse, and recycle. We support the use of hybrid vehicles to reduce fuel consumption, and by promoting the reuse of refurbished batteries, while also recycling battery components, we diminish our impact on landfill growth. Why choose Dave's to refurfbish or replace your hybrid battery? Technology: Without the proper technology it is difficult to know what the end product of a hybrid battery repair has achieved. Dave’s Performance Hybrids is the only hybrid battery reconditioning business in the Pacific Northwest that has NuVant Systems Electrochemical Technology with proprietary software allowing us to see every aspect of your hybrid battery before and after reconditioning. With this technology, we can prove with confidence the battery we are installing is the best value for the dollar with the best warranty. Transparency: In addition to taking a transparent approach with our customers we take the time to share options and help you understand the process of battery repair by looking, seeing, and touching what's under the hood with you. You can even watch us do it from the comfort of our freshly remodeled customer lounge. See our documentation section below to learn how we confidently stand by everything we do. Documentation: The hybrid battery reconditioning process at Dave’s Performance Hybrids is meticulous. With our state of the art NuVant Systems software, we monitor the reconditioning process from start to finish to measure the battery modules acceptance of the discharge-charge procedure to determine the quality of the hybrid battery. There’s no guess work, and we document everything we do. At the time of purchase, each hybrid battery pack receives an A, B, or C grade certifying the quality of the product being installed. Each certification is accompanied by the hybrid battery warranty that best fits your needs and budget, all while maintaining our long range objectives of providing quality service while being environmentally conscientious. Inventory: Dave’s Performance Hybrids actively maintains a living inventory of battery modules sorted by grade and capacity. We carry all major hybrid battery styles in stock on the shelf ready for install with documented values so you can rest assured what’s going into your vehicle is better than what comes out. If a particular style of hybrid battery is out of stock, we have the resources to build a battery using your existing hybrid battery chassis, while you watch from the comfort of our customer lounge. Experience: Service, driven by quality professionalism, and tempered by time and experience. Dave was at ground zero of Toyota Motor Sales USA, Incorporated’s headquarters in Los Angeles California for the debut of the 2004 2nd Generation Prius and trained at the corporate level for four years. Over $200,000 has been invested in his operations training with Toyota where he attended The University of Toyota. Prior to that, Dave received his Bachelors of Administration in Business Administration from Colorado State University in Pueblo. The rest, Dave learned on the job as a service advisor at the dealer level for the last decade and has maintained relationships with his customers and friends throughout. At the dealer level ,Dave was there when the first hybrid battery failures started to present themselves, and was there to identify common failures while working directly with technicians, learning about the technology, the computers, and how they work together. What is the length of a typical hybrid battery warranty? 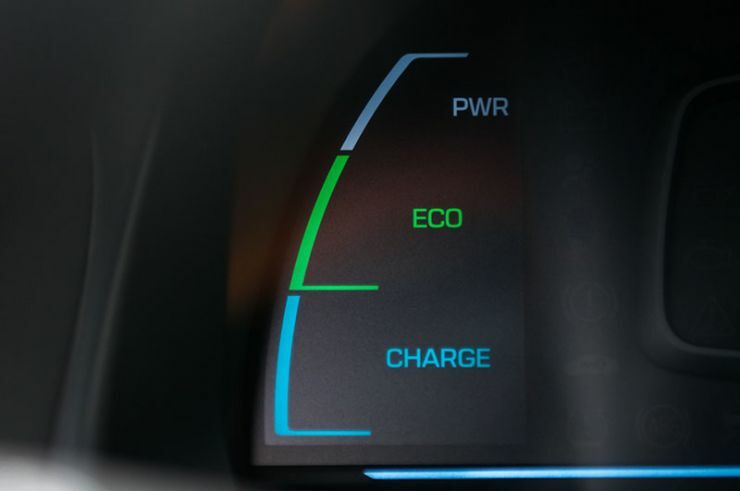 Hybrid-related components, including the hybrid battery, hybrid control module and inverter, are covered for 8 years/100,000 miles from the factory. A new, original equipment hybrid battery replacement at a dealer will come with a one-year warranty for parts and labor. At Dave’s Performance Hybrids, not only do we provide a quality reconditioned battery pack, but you can also choose from a one year to three-year warranty including parts and labor. What if my hybrid battery warranty has expired? Hybrid battery warranties are in place to protect owners from premature failures. When hybrid technology first became available, the life span of a battery was anticipated to last at least 8 years or 100,000 miles, whichever comes first. Even with the technology being as robust as it is, hybrid batteries just like any other battery are eventually destined for failure. Every hybrid owner should know that there is no longer a reason to be fearful of a hybrid battery failure post warranty. Advances in hybrid battery repair technology have made it possible to prolong the lifespan of your hybrid vehicle, and even make it perform like new. When failure does happen, let the experts at Dave’s Performance Hybrids assist you in exploring your options for replacing or refurbishing your hybrid battery. What will a Dave’s hybrid battery warranty do for you? Firstly, and most importantly, you will receive a superior quality product that that you can depend on, a fact that vastly makes a warranty unnecessary. That said, other hybrid battery repair companies claim to have repaired and refurbished hybrid batteries, but can’t prove it. All you can do is take their word for it, and in such cases you are essentially buying a warranty instead of a quality battery. This is all due to using substandard technology that ultimately relies on guess work. A warranty with Dave’s Performance Hybrids simply gives you peace of mind and protection by formally securing your investment in your vehicle. With coverage for both parts and labor for either of our 1 or 3 year warranties, Dave’s is a cut above the rest. As both re-builder and installer, Dave’s Performance Hybrids keeps it simple by assuring service for all aspects of your warranty under one roof. It’s a good decision to buy at Dave’s because you are guaranteed a quality product graded and certified for quality, and covered by a warranty that is better than factory for a fraction of the cost. Why does Dave’s offer warranties if their hybrid reconditioning services are so superior? Dave’s Performance Hybrids has warranties simply because everyone else is doing it and because our intention is to provide you peace of mind. We stand by everything we do, and we’ll put it in writing. We also have new hybrid battery replacements available, with warranties. Back to top: Hybrid Battery Reconditioning & Replacement in Albany, Corvallis, Salem, and Eugene, OR.